Manik and Rajat Kapoor are the people responsible for making Delhi, a culinary paradise with the utterly popular joints- Gola Sizzlers, CaféHawkers, and Tipsy Elephant. The Kapoor Brothers have been very passionate about their work and aspire to reach greater heights, which is evidently the reason behind their back to back successful ventures. Following the success of all their restaurants, and especially the star venture Gola Sizzlers, the duo has plans for steady expansion. In a conversation with The Restaurant Times, the Kapoor brothers talked about their inspiring journey so far, the operational challenges, and what exactly it takes to run a successful restaurant. 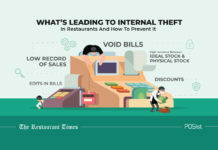 What are the prime challenges that come up while running a restaurant? Maximum people in the industry are getting price sensitive. The customers do not see the quality; they only see the price tag and the quantity. There is a fine line that has to be maintained between the quality and quantity of items on your menu. You want guests to feel like they are getting great food and drink for the price they are paying, and also make sure that the quality of food is consistent each time they visit. So, it’s important to stick with the vendors that supply great products. You must also train your kitchen staff according to the standards that you wish to deliver. What according to you are the most subtle yet successful ways of promoting a restaurant? 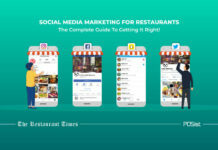 Social media marketing is the best way to go for a restaurant business, as it helps a lot in branding and customer engagement. It’s important to have your company on social media. It is easy to get followers through paid campaigns, and also a great channel to let your customers know what is going on at your restaurant. The best way of promoting a restaurant can be offering lucrative deals to customers and then posting the same on the social media handles. You should also have a quirky menu with some out of the box dishes that attract the customer plus also matches their taste buds. Making sure you have a professional website for your restaurant is also very important. You need to build trust among the customers, so creating a great website will help with that. Adding the menu, a gallery, and even Opentable, so that people can make reservations online. Your restaurant staff is your biggest asset, as they are the ones who are driving your business. Thus, their happiness and motivated should be of your prime concern. Staff should be given regular incentives, promotions and medical leaves (whenever needed) to make sure that they do not leave the job or consider working somewhere else. To make them a permanent part of the restaurant family, one should take care of their needs and happiness always, and we try our best to do the same with our staff as well. In my outlets, I have so many people who have been working with me for past 15-20 years. There’s nothing wrong with a little healthy and hearty competition between team members. If you want to galvanize your staff, you can offer gift cards or other prizes and awards for finishing on top regarding sales for the day or week. Giving them added independence not only makes them feel acknowledged and respected, but it also saves a lot of time and stress by turning the entire scheduling process into a collaborative one that doesn’t solely rest on your shoulders. What in your opinion is the importance of technology in the restaurant industry? Technology is of utmost importance in almost every industry, and the restaurant business is no different. Restaurants can no longer depend on the quality of their food to ensure success. They have to improve the guest experience, hire the right employees, and make the best business decisions possible to stay competitive. And this is where technology takes charge. All this can be streamlined through technology. 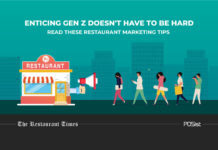 It gives restaurant owners more time to focus on the restaurant itself rather than other trivial issues. If we ever face any problem whether related to operational or management, we try to face that problem together and try to find out its solution calmly. We try to entertain each customer so that they could leave with a smile on their face. This happens when the management coordination is perfect, and we try to do the same every day. Ultimately, quality and consistency together help in establishing brand loyalty among the customers. 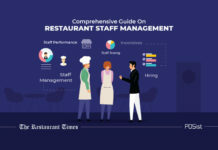 The staff should be quick, as slow service to the customers decreases the turnover and the reputation of the restaurant as well. 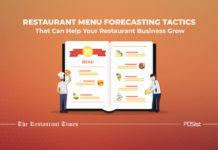 Next articleMake Your Casual Dining Restaurant a Success With These Tips! Kapoor brothers of Gola Sizzlers have certainly made their mark in the restaurant industry it is great to read about the efforts they put in to take their brand where it is. Gola sizzlers being one of my favorite places, the article is very inspiring and informative. 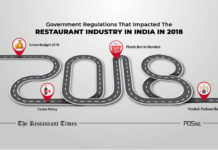 Gola Sizzlers has become iconic in the restaurant space. Manik Kapoor and Rajat Kapoor have really taken Sizzlers to a whole new level.